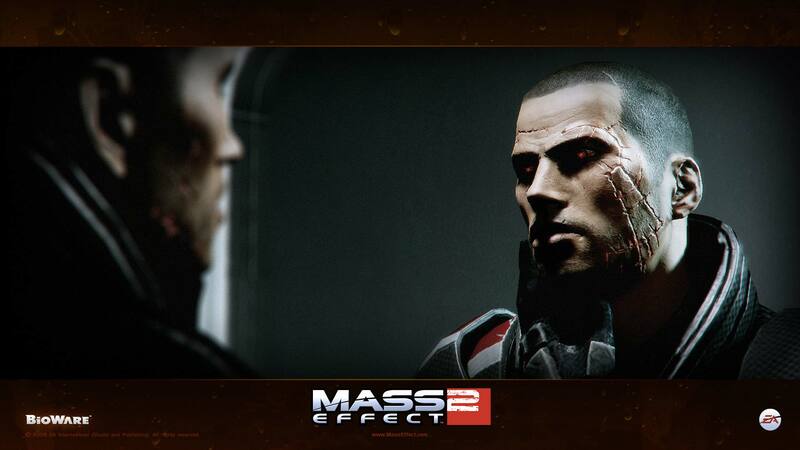 “Scared Shepard” or “That Scar has a Very Specific Shape” | Are We New At This? Amidst all the frenzy leading up to Dragon Age: Origins (just two days left! ), BioWare hasn’t forgotten about the upcoming adventures of Commander Shepard. They released a new Halloween themed poster to commemorate the dark side of Shepard. You can download a 1920×1080 version by clicking the image below.